A child from Liberia was brought to the Bayhealth Kent General emergency department on Saturday, October 4. The ED staff completed an initial assessment following the recently updated Centers for Disease Control guidelines for identifying suspected cases of Ebola. After the assessment, and out of an abundance of caution, the child was admitted to a private isolation room and all CDC guidelines regarding specimen collection, transport, testing and submission for person under investigation for Ebola are being followed. 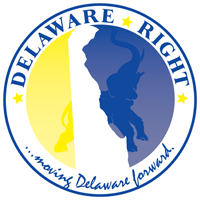 The State of Delaware Office of Infectious Disease was notified of the admission, who subsequently notified the CDC. The child is past the 21 day maximum incubation period and it has been determined by the CDC that the likelihood of Ebola infection is extremely low. Since the likelihood is low, the CDC declined to test this child for Ebola. The patient will continue to be observed in the hospital until the CDC and the infectious disease physician determine it is safe for the patient to be discharged from the hospital. This patient is past the incubation period and as of tonight is symptom free. Working with state and federal officials, Bayhealth is committed to patient safety and protecting public health. 14 Comments on "Important Message"
What’s the important message? There’s a healthy child in the hospital? Exactly FDR, if you are watching social media there has been a rash of overreaction to this story with people saying there is a case of Ebola in Dover, it is important to get the facts out to stave off panic. Why not temporarily suspend flights from ebola stricken areas? It’s clear that screening is not enough. They are relying on questionnaires for Christ’s sake. At least automatically quarantine everyone who comes from those areas for a time, if they absolutely must come here. I would imagine that it wouldn’t take too many infected people to breach the system before it would overwhelm the CDC’s protocol for stopping an epidemic. Just seems like common sense to me. Then again I’m just a landscaper, so maybe someone smart can explain it to me. Yes, FDR. It appears that the Nigerians are doing a stand up job containing ebola in their country. The CDC dropped the ball when they failed to respond in a timely manner, when it came to the cleaning of the residence where the Liberian Ebola victim was located, as well as the ambulance that carried him. You wonder how the hell this could happen? You probably figured, as I did, that the CDC would be instantly arriving in hazmat suits when confronted with this type of situation. Well, when you see where they have been focusing their energy, it all seems a little more clear as to why they dropped the ball. Instead of focussing on keeping us safe from a global pandemic, they have been focused on….that’s right you guessed it….. GLOBAL WARMING. 3) assure that systems are in place to detect and respond to current and emerging health threats. 3) To serve as a credible leader in planning for the public health impacts of climate change. Just to be complete, since I know you did not just intend to cherry pick one mission statement that caught your eye (and note that this is only a partial list, but a better list than your sample of one. Now you can see where they have really been focusing their energy as opposed to the one item you discovered. The mission of the Division of Tuberculosis Elimination (DTBE) is to promote health and quality of life by preventing, controlling, and eventually eliminating tuberculosis from the United States, and by collaborating with other countries and international partners in controlling global tuberculosis. The mission of the One Health Office is to facilitate, sponsor and coordinate research and program activities that seek to attain optimal health for people and animals through an integrated approach considering the interrelatedness among humans, animals, and the environment in which they live. 6.Collaborates with other CDC NCs, NCZVED divisions, state and federal agencies, Ministers of Health, WHO, PAHO, private partners and other governmental organizations involved in public health. 9.Maintains the Bioterrorism Laboratory for poxvirus response and research. 8.Provides statistical and epidemiologic training opportunities for EIS officers and other personnel in CDC sponsored programs. 6.Serves as the WHO Collaborating Center for Reference Pathology of Hemorrhagic Fevers and other Infectious Diseases. To control and prevent chronic neoplastic of viral infections as well as chronic fatiguing illnesses of unknown etiology (such as chronic fatigue syndrome) through excellence in the design and execution of population-based epidemiology and laboratory studies addressing the totality of these problems with the best methods from multiple disciplines. 9.Provides expert assistance and consultation to national and international investigators and organizations regarding sequelae of viral infections. The point is that there are resources being dedicated to something that most likely doesn’t even exist, while at the same time, they can’t even execute a basic function of the CDC, which is to make sure someone shows up in a hazmat suit. If someone looked into it, and found that the CDC is dedicating a disproportionately high amount of funds and resources to their climate change program, in lieu of the current situation, it would be a big story I believe. No, it’s the CDC’s Climate and Health Program, but it’s all based on global warming or “climate change” as they now say. I’ve tried looking through the PDFs for the allocations, but had no luck in the 5 min that I dedicated to it. BTW, I just used the “hazmat suit” comment as sort of an idiom to basically mean standard operating procedure, or just plain showing up. Those seem to be the numbers, but when you look at the expanded mission statement of this CDC program it doesn’t even seem feasible that the budget allowance would even cover the travel costs of the program, much less the implementation. Maybe there is nothing to see here. I’ve been wrong before. To translate climate change science to inform states, local health departments and communities. To create decision support tools to build capacity to prepare for climate change. To serve as a credible leader in planning for the public health impacts of climate change.